Many Westporters may not recognize the name Barbara Van Orden. But without her, the Westport Historical Society might not be what — or where — it is today. Barbara — who died on Sunday, age 88 — was a museum docent in several places where she and her husband Paul lived. 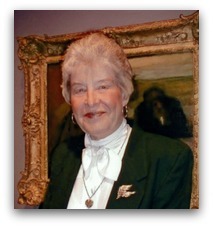 After moving to Westport in 1977, she spent 26 years as a very knowledgeable and much-loved docent at the Yale Art Gallery. She was also active in the Westport Garden Club and Saugatuck Congregational Church. But it was at the Historical Society that she made her most impressive local mark. 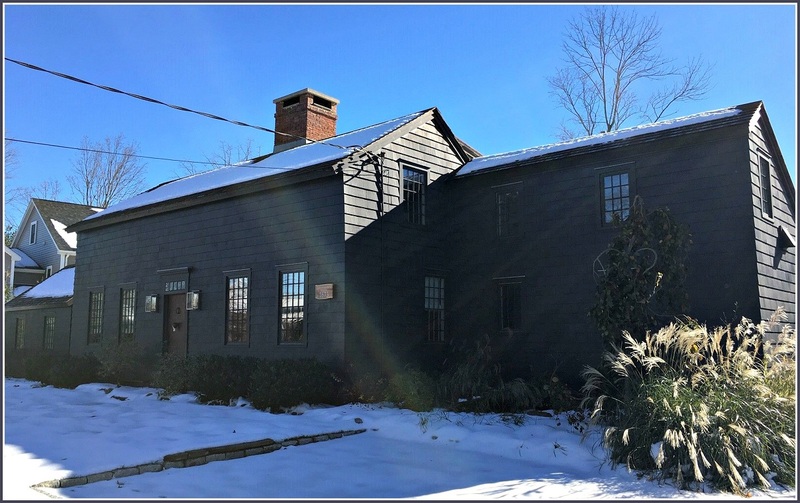 Barbara worked with Paul Newman and Joanne Woodward to raise money to purchase Wheeler House, the handsome 1795 home in the heart of downtown. Then, attending countless auctions, she led the drive to furnish the period parlor, kitchen and bedroom, to look as they did in 1865-70 when Morris and Mary Bradley lived there. She was also the longtime head of WHS volunteers and collections. 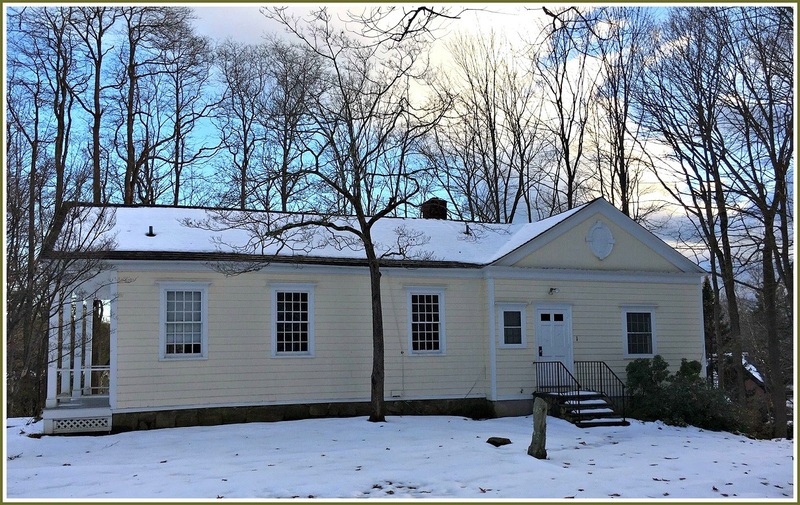 Thanks in large part to Barbara’s untiring, loving work, the Westport Historical Society moved — literally as well as figuratively — into the modern era, while honoring the town’s rich heritage. 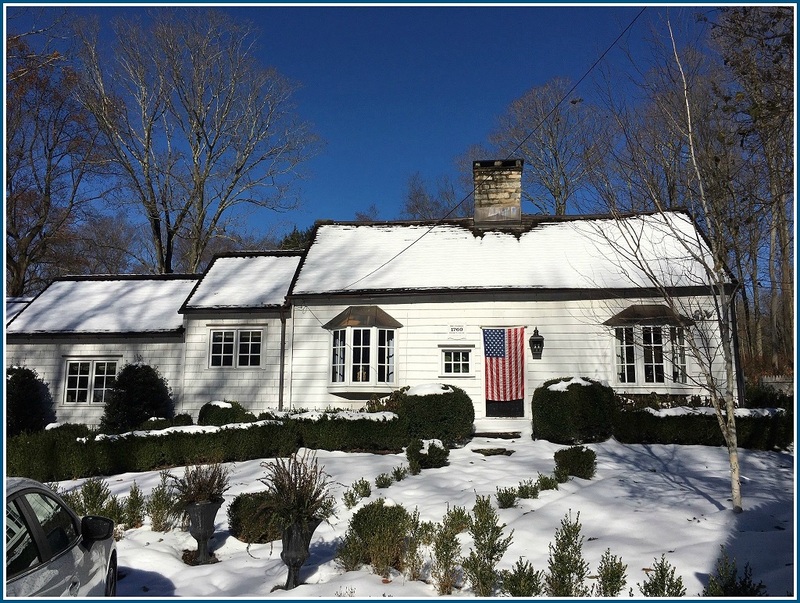 Thanks in large part to Barbara Van Orden, the Westport Historical Society owns this handsome home on Avery Place. Barbara was born in Ohio, and graduated from Bowling Green State University. 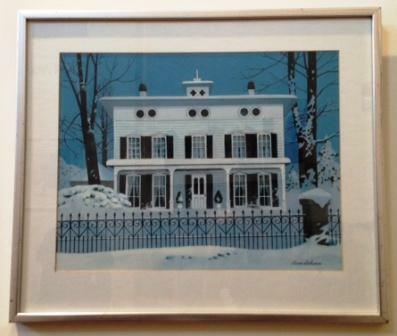 In addition to history and art, she loved traveling, gardening and her summer home on Nantucket. Her family says, “throughout her life, Barbara provided a constant example of the value of personal strength, discipline and perseverance, even in the face of challenges. Her daughters and grandchildren have inherited her tenacity, openness to new ideas, a keen perspective on what is really important, and an appreciation for all the good things life has to offer. She is survived by her husband of 67 years, Paul; her daughters Sharon Alexander and Lisa Berger, 4 grandchildren and 1 nephew. A funeral service is set for this Sunday (July 8, 1 p.m., Saugatuck Congregational Church), followed by a reception at the church. In lieu of flowers, donations may be made to the Westport Historical Society, Westport Garden Club or Saugatuck Congregational Church. The Westport Historical Society has plenty of cool stuff tucked away in the attic and basement. 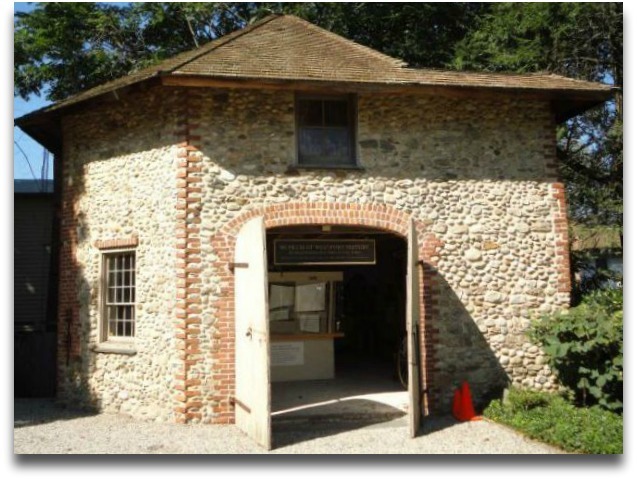 But its most amazing artifact may be hidden in plain sight: the 7-sided cobblestone barn. 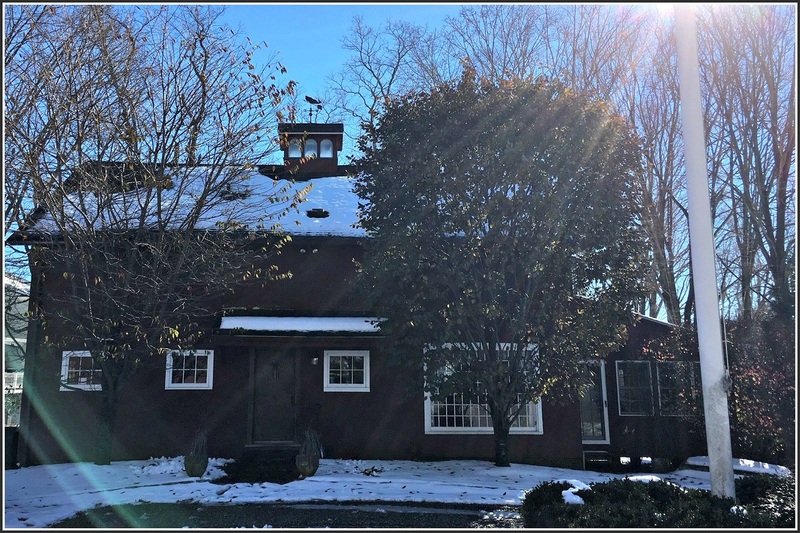 Located right behind the Wheeler House headquarters, opposite Town Hall, it’s the only barn of its kind in the state. And its doors are always open. When you wander in, the first thing you see is a 5-foot square historical diorama of downtown. Created for the Society by Tom Clough in 1999, it represents Westport in the mid- and late-19th centuries. Clough calculated the size of buildings and other features from photos. When he actually measured Toquet Hall, he found his estimate was just one inch off. 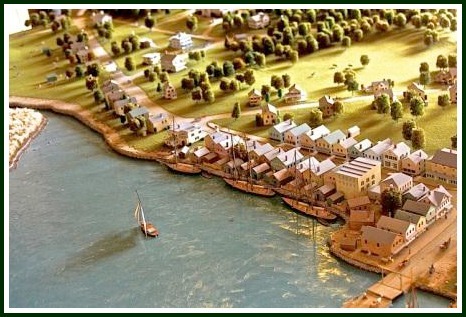 A small detail of the Saugatuck River waterfront, from the WHS diorama. A 20-minute narration describes Westport’s maritime commerce, including our staple crop (onions) and manufactured goods (tinsel ribbon cord, fringes, candlewicks, shoes, valises and buttons). In true Westport fashion, the narrator is Joanne Woodward. Upstairs, there’s an even larger display: the miniature train holiday scene that — every Christmas for decades — entertained Main Street shoppers from Swezey Jewelers’ front window. Model railroad specialist Hank Teller fine-tuned the 4-track display. It includes small replicas of the Saugatuck Congregational Church, Saugatuck firehouse — and of course Swezey’s itself. The barn has its own history. Built by blacksmith Farmin Patchin during the late 1840s or ’50s, it was in disrepair when the WHS bought the property in 1980. It took 10 years to restore the structure, under the supervision of Leo Cirino. Stones were painstakingly removed and catalogued, then returned to their original positions as the walls were rebuilt. 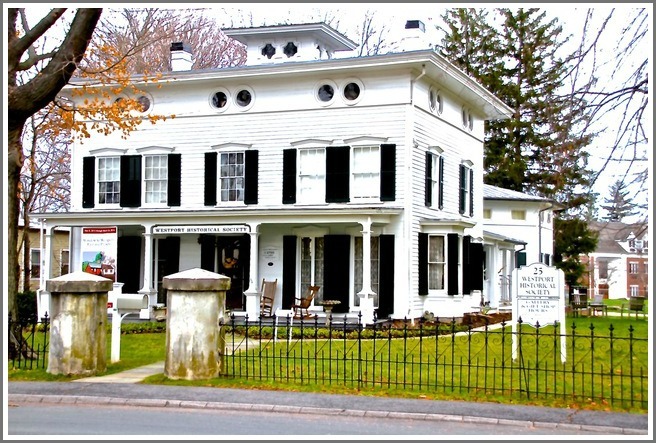 There’s plenty to see at the Historical Society. Including an odd but intriguing 7-sided barn that most of us pass by often, without really seeing.